1. BIT Software Solutions is a team of professionals with 5-year experience. 2. Research. Every project starts with the detailed analysis of trends and company needs. 3. Efficiency. Short terms of task performance. 4. Positive attitude. Our work is our passion, so we do our best to provide you the high-efficient solutions. 5. Modesty. We do not try to label every project with our name. Systematic website update is a vital aspect of any successful client-oriented project. As one of the most important factors the text quality defines whether your website is interesting to Internet users and search engines. To make your website leader of its niche you need to implement the effective high-quality content and SEO-optimization instruments. 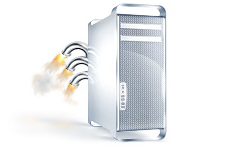 Hosting is a key factor in every website development. All work committed to the project would be a waste of time if you don’t have appropriate hosting and service provider. Many people mean the site appearance by its design. This opinion is slightly less than absolutely erroneous. The meaning of this concept involves usable navigation, the level of readability and easy information perception as well as text formatting for the purpose of highlighting the main and secondary ideas. Design is not an image/template within the general area "here we will have a banner, at this spot - contacts, and there will be a menu". The website design consists of complete design of all website pages, including all elements and blocks of the resource as well as competent formatting of the content of the pages. Quality performance of the design does not play less considerable part than search engine optimization, the selection of content management system, banner or contextual advertising. Even in terms of human psychology the unskillful design will rather scare away the target group whatever useful content the website has, whatever cheap services are provided. Our work is to create sites that will bring profit. We do not use templates, avoid typical models. Development of websites for each client requires individual design and solving the optimum of the assigned task. Search engine optimization of the website is a reasonably priced type of advertising of the website in Internet, directed toward your target audience. Get the most interested clients with the help of search engine optimization. We do not participate in social projects "on a voluntary basis". We do not work in "shady" projects with the profit "in a year but millions". We do not make free rough sketches within the general area "we will buy if we like". We do not participate in unpaid competitions. If the level of the finished projects presented in our portfolio suits you, we can discuss the project. We thing that we are sure to come to mutually beneficial agreement. As for interesting ideological projects, we are always open to constructive dialog. this website without permission is prohibited.